Eureka Springs, AR -- Eureka Springs is rounding out the summer with another exciting event. This year’s Annual Bluegrass Festival will be jam-packed with lively and talented musicians for three days on August 14-16. The Bluegrass Festival kicks off with a Watermelon Social in Basin Spring Park presented by the Eureka Springs City Advertising & Promotion Commission. This event is an open jam and everyone is invited to bring their instruments and join in. Free watermelon and water will be provided. 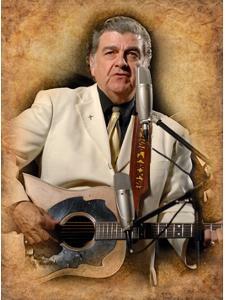 Melvin Goins with Retro & Smiling and Karl Shiflett and Big Country Show will be featured bluegrass acts. Saturday, October 27th, 2012 at the Carter Family Fold in Hiltons, Virginia. Marion, VA -- The legendary bluegrass music artist Melvin Goins and his band Windy Mountain will be part of the fantastic lineup of talent for Song of the Mountains on September 1st at the Lincoln Theatre. Joining Melvin Goins on the show will be Balsam Range who will be making their second appearance on the award winning public television series which is currently in their eighth year of tapings.